Coz shares his insight about the power of forgiveness and challenges you to let it go. 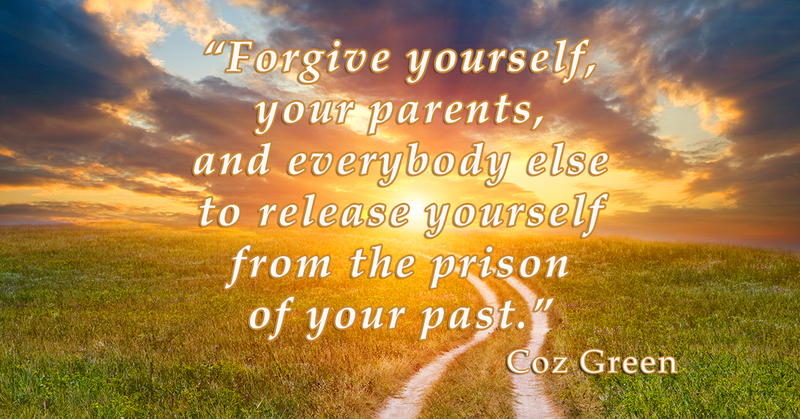 Forgiveness allows you to free yourselves from being held captive in the prison of your past. We when don’t freely forgive ourselves and others, we are held back by the negative emotions that apply the brakes to our lives. We cannot discover lasting hope until we release the brakes and simply, let it go. Forgive yourself for every stupid, brainless, selfish, and wicked thing you have ever done. The seeds of hope cannot grow when polluted by guilt, shame, embarrassment, and regret. Forgive your parents for whatever they did or didn’t do. Your parents did the best they could with who they were in their circumstances and the abilities and resources they had at the time. Are you holding on to “something” from your childhood? Let the blame go and free yourself from being a victim. Forgive everybody else. If you are harboring ill will towards someone or seeking revenge, you are literally stopping your progress towards the best version of you. When you let go, you leave your baggage of the past behind and you can now look forward to the future with more hope. Inspirational Interview with Chris Williams: On a cold February night in 2007, a devoted father of four and a seventeen-year-old drunk driver both received life sentences. In one violent, devastating instant, both faced a drastically different—and uncertain—future. But as Chris Williams sat in his car that had just caused the death of his wife, his unborn baby, his eleven-year-old-son, and his nine-year-old daughter, he committed to do something extraordinary; he would forgive. That decision launched Chris on a journey toward healing that impacted his family and friends, the young man who had caused the accident, and an entire community—a community that would face another deadly tragedy just a few days later. Chris’s message of empowering forgiveness is an invitation to all who have suffered, however unjustly, to lay down their burdens and let it go. Podcast Music Bonus: Hear the world-wide debut of Carrie Johnson’s new arrangement of “Jesus, Lover Of My Soul.” Regardless of your faith, you will enjoy this inspirational song of hope. Add it to your inspirational playlist. Do you have some feedback you’d like to share? Leave a note in the comment section below. Also, please leave a rating and your remarks on iTunes. Your ratings and reviews are very helpful for the podcast to gain traction. You are truly appreciated. If you enjoyed this episode, please share it using the social media buttons on the left side of this page.